Gordo Trunk Rack with Modification Kit for 3C, 8C, 8S, and 11R 5 out of 5 based on 1 ratings. 1 user reviews. 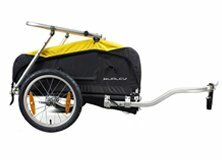 The Gordo trunk rack by Hollywood Racks has extra-wide arms (spaced 22 inches apart) that make it great for carrying an ElliptiGO long-stride bike: 3C, 8C, 8S and 11R models. (This rack is not suitable for an ElliptiGO Arc.) 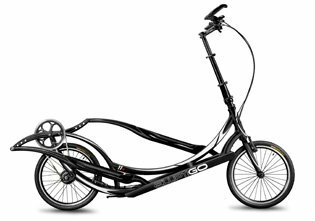 The Gordo can carry one (1) ElliptiGO bike and can also be used to carry a traditional bicycle with the pre-installed cradle. We include a modification kit to the Gordo trunk rack that improves ease of use when loading and unloading an ElliptiGO bike. The modification kit does not need to be used to work with an ElliptiGO bike; however, if you plan on only carrying an ElliptiGO bike, the modification kit makes it much easier to mount the bike on the rack’s extended bump sleeves. Please note: these changes are permanent modifications to the rack, and once these modifications have been made, we cannot honor a return of the product. Make sure you are comfortable using the rack itself before making the modifications. Please view our video on modifying the trunk rack with the bump sleeves. The Gordo rack can be used on most SUVs and sedans; however, it will not work on the tailgate of a pickup truck or on a vehicle with an external spare tire mounted on the rear door or a car with a spoiler. To see if the trunk rack will fit your vehicle, please visit this page of the Hollywood Racks website.